Wow what a cracking game last weekend. 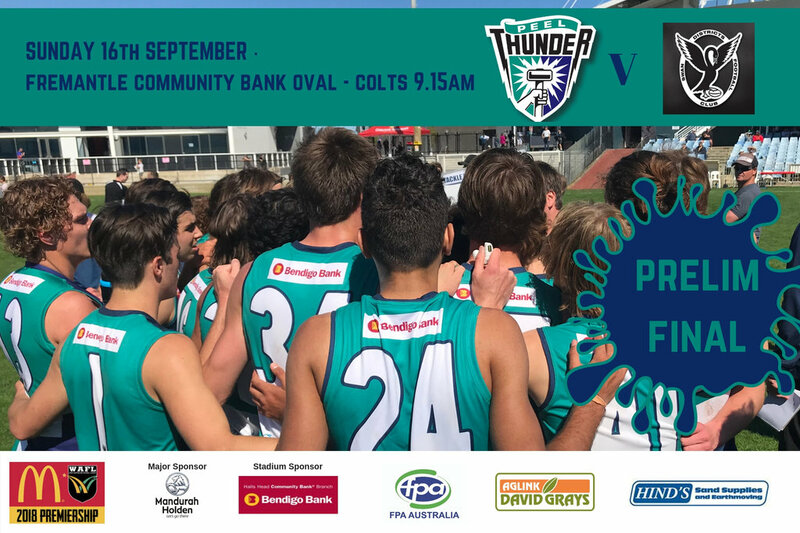 Our Peel Thunder Colts continue their journey in the WAFL Final Series by playing Swan Districts this Sunday (16th September) 9.15am at Fremantle Community Bank Oval. Get behind the boys and get to the game!